Coliseo Pizzeria is a thriving gourmet culinary business of over 10 years! We specialize in authentic Italian cuisine. Our basic menu includes pizza, pasta, chicken, lasagna, salads and desserts. 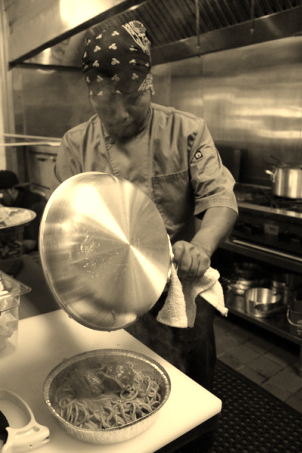 We prepare everything fresh from the best ingredients available and, of course, from scratch, in our kitchen! All of our dishes are made fresh and ready to go. Dine in or take out, we do it all. We can also cater your special events. Invite friends and family to enjoy a full meal, guaranteed to make you desire it again! We are pleased to establish our business in its new location in the beautiful, centrally located Baldwin Hills area and to launch our new website! We plan to serve with longevity in the community.